As a player, he reached career-high ATP World Ranking No. 240, ITF World Junior Ranking No. 4, ATF Men’s Asia Ranking No. 4 and Taiwan Men’s Ranking No. 1. Benny participated in 3 consecutive Asian Games winning 1 Silver and 3 Bronze medals. He was also the winner of Asian Championship Men’s Doubles in 1997 and 4-time Men’s Singles Semifinalist from 1994 - 1997. Benny played Davis Cup (qualified to the World Qualifying Group against Switzerland in 1994) and on ATP Tour for more than 10 years, and was one of four players that represented Asia at 1992 Olympic in Barcelona. Benny also won Silver and Bronze medal at the 1997 and 1999 World University Games. Benny reached semifinal of the French Open Boys' Doubles and Quarterfinal of the Wimbledon Junior Boys' Doubles in 1991. That year he also won the East Asian Junior Championship Boys' Singles. Benny also worked with famous coaches such as Tony Roche (Roger Federer's coach) and Suresh Menon (ITF Development Officer). Throughout his playing years, Benny played Grand Slam tournaments and recorded wins over ATP Top 50 players. He competed against Paradorn Srichapan, Tim Henman, Fabrice Santoro, Lee Hyun Taik and Leander Paes, to name a few. In 1997, Benny was given the National Award for Sports Achievement and Excellence by Taiwan Government for his achievements in tennis and contribution to the society. From 2002 - 2007, Benny was the director of junior development programs and head coach of the Hong Kong Tennis Association with over 100 players and 8 full time assistant coaches. 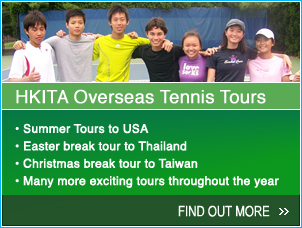 He was very much involved with the development of Hong Kong’s top juniors, including Venise Chan (ITF No. 25) and Zhang Ling (ITF No. 48). Benny’s previous project, the Talent Group and National Training Squad produced all of Hong Kong’s top ranked juniors (i.e., Venise Chan, Zhang Ling, Yang Zi Jun, Geraldine Leong, Gilbert Wong, Ronald Chow, Kevin Kung, Darren Ng, Justin To, Kelvin Lam, Katherine Ip, Leong Lok Sze, Sher Chun Wing, Sher Pui Wing and Kevin Wong). With Benny's help some of his players are currently receiving tennis scholarship in the US and/ or competing on the professional circuit. In 2005, Benny was the Captain of Hong Kong Junior Fed Cup team that achieved a historical result by finishing third in Asia. The team subsequently qualified to the World Group Final for the first time in 20 years. In 2006, he again took Hong Kong’s Junior Fed Cup team to the Word Group Final for the second consecutive year by finishing fourth in Asia. In January 2007, another historical milestone was achieved by Benny’s pupils as Kevin Wong and Brian Yeung swept the Singles and Doubles title at All China Nationals U12 Tournament in Jiangmen, China. First time such a milestone was achieved by Hong Kong team in China. Before coming to Hong Kong, Benny was the Chinese Taipei Davis Cup team playing-captain and coach. 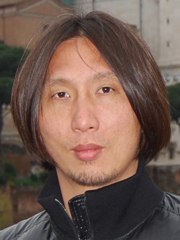 He coached ATP and WTA touring professionals, including Lu Yen-Hsun (Highest ATP World Ranking No. 36), Wang Yeu-Tzuoo (Highest ATP World Ranking No. 57) and Hsieh Su-Wei (Highest WTA World Ranking No. 114). Benny is also an ITF recognized Regional Expert that specializes in Players Development. He is also known as one of the leading tennis-biomechanics in Asia. His work in Players Development has been adapted by many Tennis Associations and coaches around Asia. Over the past years, Benny conducted many coaches workshops and courses for the ITF, Hong Kong Tennis Association and National Tennis Associations all around Asia. Benny is also a tutor for ITF Level 2 Advanced course. Benny’s article on Players Development was published by Tennis Magazine (China, May 2007). He was also one of the keynote speakers at the 2006 ITF Regional Coaches Workshop. After his professional years, Benny received a scholarship from Azusa Pacific University in California, majoring in Physical Education. He was named NAIA All American Team, Rookie of the Year and GSAC Player of the Year with a record of 34 - 0 during his first year.